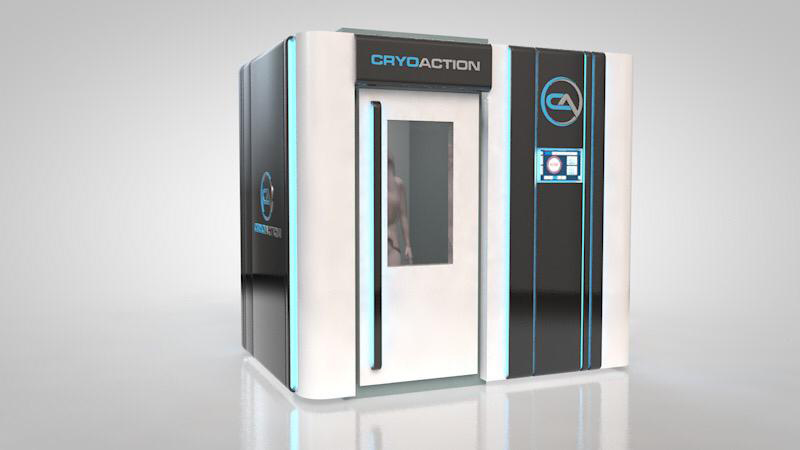 CryoAction’s CryoSolo™ is the most innovative single person cryotherapy device available on the market today. Designed to be installed internally within an existing building, theCryoSolo ™ is an exquisite design combining a stylish enclosure with optimum performance, The unique design of the CryoAction CryoSolo™ ensures a best in class example of cryotherapy devices. CryoSolo™ is built with a robust outer structure and the outer skin incorporates all the technology necessary to deliver cryotherapy. No more ugly cryogenic dewars lying in full view of customers. The CryoSolo™ can be colour coded to match the decor of the room where the CryoSolo™ is installed.. The treatment is operated from a touch screen panel and is fully menu driven with operating controls and safety systems, reporting information to the operator for the duration of the treatment. A typical CryoSolo™ treatment lasts just 3 minutes. The air inside the chamber is cooled using our proprietary Active Cooling System™. A key factor is that cooling takes place outside of the chamber. At no time does Nitrogen enter the chamber, either in a gas form or as a liquid inside a heat exchanger. The CryoSolo is therefore justified in its acclaim as the safest whole body cryotherapy unit on the market today. The cold air is slowly released into the chamber and stays at a target temperature up to 170°C/280°F degrees. As the CryoSolo™ is a walk-in chamber, the temperature levels can be maintained to maximise the effectiveness of the the treatment. During a CryoSolo cryotherapy session, the patient wears a swimsuit or undergarments, knee-high socks, hat or headband and woollen gloves. CryoAction CryoSolo™ is available for outright purchase with competitive pricing. The units are sold with a comprehensive service, support and training plan offering any purchaser, a high-quality product and a package to ensure a substantial return on investment. 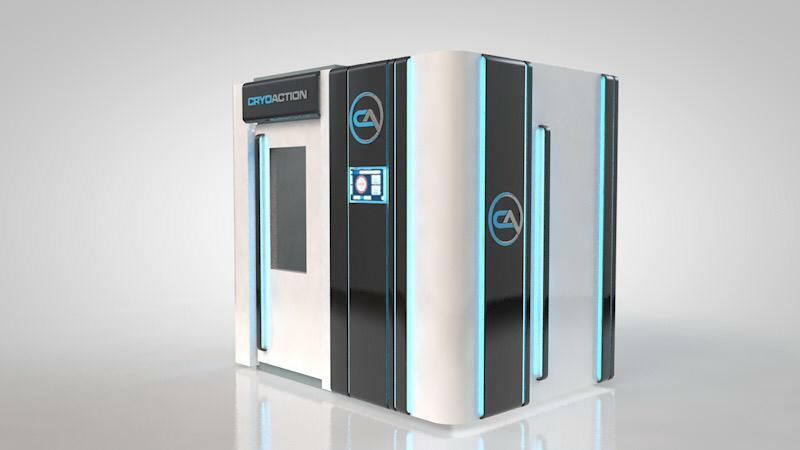 CryoAction CryoSolo™ is available under competitive finance rates.  This facility offers the opportunity to spread the payments over an extended period and to obtain tax relief on the purchase. 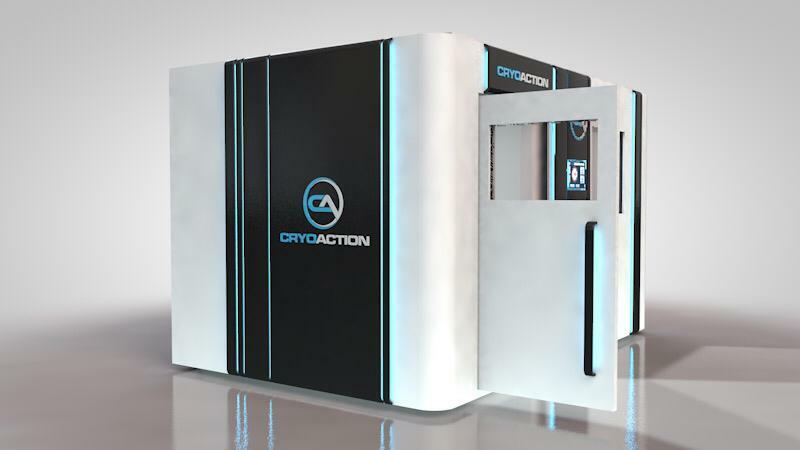 Want more information on the coolest cryo on the market?